This bike was obviously set up for racing or aggressive street use at some time prior to the rebuild completed Winter/Spring ’95. The true mileage is unknown as the speedo and instrument cluster has been removed. A small piece of aluminum holds the tach, high beam indicator, and ignition "switch". I have several bikes and ride neither of them very much. I have put approximately 500mls on since I bought it. 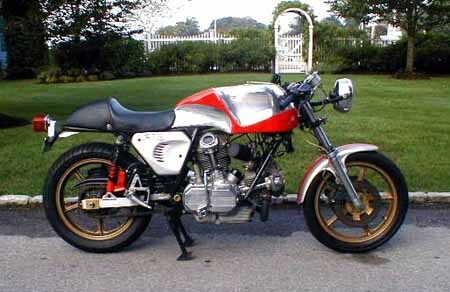 I bought the bike from a pilot/aircraft mechanic in Northern Vermont who also had many bikes in his cellar. He indicated that he never rode it much either. 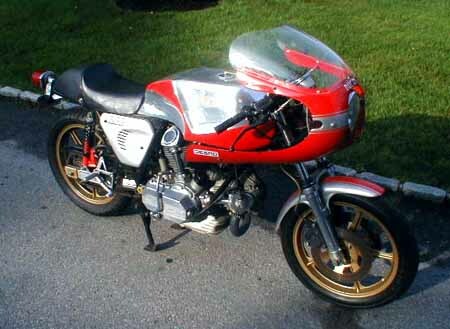 I have had several Guzzi LeMans and BMW street bikes. This is faster and better handling than all of them. 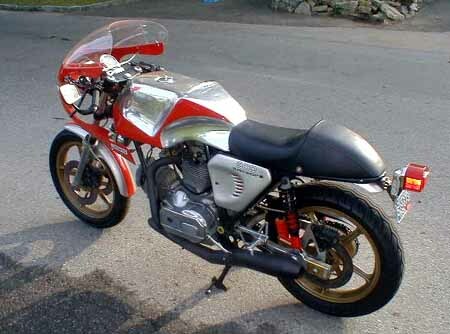 It also makes a great sound and turns heads whenever motorcyclists are near. The condition is very good but the paint on the rims needs redoing. This bike starts first kick if you get the procedure right and would pass inspection if necessary in your state right now. Date of manufacture is stamped 9/81, so the bike is now 20 years old. Many states do not require inspection for vehicles over 20 years old, please check with your DMV. Spares: I have many parts for the bike, most are included if you want them. Shipping: Shipping is your responsibility. I usually use Federal Van Lines. They ship uncrated for about $350-550 depending on location, parts shipping may be additional.